If you need help understanding the property licensing rules in Newham you have come to the right place! We are experts in housing regulation and have produced this free guide to help you understand the council’s property licensing schemes. To help set the scene, the London Borough of London Borough of Newham is in East London covering an area of 14 square miles. It is bordered by the boroughs of Hackney and Tower Hamlets to the west, Barking & Dagenham to the east, Redbridge and Waltham Forest to the north and with the River Thames to the south. According to the 2011 Census about 34% (1 in 3) of the housing stock was privately rented which is significantly higher than the London average of 25% (1 in 4). Yes, you will almost certainly need a licence to rent out your property in Newham as the council operates borough wide mandatory HMO licensing combined with additional licensing and selective licensing schemes covering most of the borough. There are very few exemptions. The borough wide additional and selective licensing schemes came into force on 1 January 2013 and operated for five years until 31 December 2017. A replacement additional licensing scheme covering most of the borough came into force on 1 January 2018 and runs for five years until 31 December 2022. A replacement selective licensing scheme covering most of the borough came into force on 1 March 2018 and runs for five years until 28 February 2023. You will need an additional licence if your property is let as a House in Multiple Occupation that is not already covered by the mandatory HMO licensing scheme. Up until 31 December 2017, the additional licensing scheme applied borough wide. From 1 January 2018, the council have decided to exclude the ‘E20’ area. Up until 31 December 2017, the selective licensing scheme applied borough wide. From 1 March 2018, the scheme excludes properties in the ‘E20’ area. You will need a selective licence if your property (house or flat) is let out to a single person, couple or single household and is located anywhere else in the borough. Once you have obtained a selective licence, you cannot let the property out as an HMO as that requires a different type of licence. In summary, if you let out private rented accommodation in Newham, you will need to get a licence for each property you rent out, unless it falls into one of the very few statutory exemptions or is within the E20 area. You can find a lot of useful information on the council’s website. In Newham, it depends on the type of licence you are applying for. 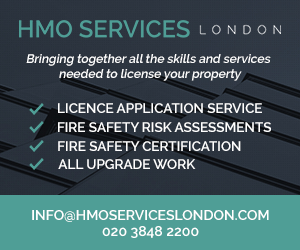 For the mandatory HMO licensing scheme, fees start at £1,050 (£950 in 2014/15) for properties containing up to five lettings, up to a maximum of £1,650 if there are 20 or more lettings. For the additional licensing scheme, the application fee has increased to £1,250 (£850 in 2016/17, £500 in 2014/15). For the selective licensing scheme, the application fee is now £750 (£500 is 2016/17). If you want to submit a paper application the cost increases by £100. There are no discounts listed for accredited landlords, which we think is a shame. These fees are correct as of November 2018 and may be subject to change. The fees are published online on the council’s website. Newham Council offer a full online application and payment system that can be accessed on the council’s website. You will need to make sure you apply for the correct type of licence for your property, as there is a separate application process for each scheme. Yes, Newham Council have adopted standards for licensed HMOs, published in Appendix 2 of their licensing guide, available on the council’s website. Once you click on the link, you can download the guide from the ‘Related documents’ box on the right of the Newham web-page. These standards only apply to HMOs licenced under the mandatory HMO and additional licensing schemes. They don’t apply to single family properties licensed under the selective licensing scheme. By December 2016, Newham Council said they had issued 38,941 licences to 25,163 licence holders, although we don’t have a breakdown of licences issued under each scheme. Newham Council keeps a public register of all licensed properties which is regularly updated and can be viewed online. Having licensed over 38,000 properties, it seems that Newham Council have now dealt with most rented properties that require licensing in the borough. Having said that, they operate a robust enforcement policy and so if your property is unlicensed or has the wrong type of licence for the current occupancy arrangements, it is important to get this sorted out before council officers coming knocking on your door. For expert advice and assistance, please contact us. Yes, Newham Council have devoted significant resources to their housing enforcement action. They told us they took 359 housing prosecutions over the three years from April 2011 to March 2014, which is by far the highest number when compared to all other London Boroughs. In fact, Newham Council have carried out far more housing prosecutions over this period than all the other London boroughs put together! Newham take housing enforcement very seriously and conduct regular enforcement operations to tackle unsafe, substandard and unlicensed properties. The council obtained eight Rent Repayment Orders (RROs) from the landlords of unlicensed properties over the four year period from April 2011 to March 2015. A further eighteen RROs were obtained in 2015/16, which is far more than any London Borough. This is based on data published by the Courts and Tribunals Judiciary and information provided by the council. Whilst we don’t have any figures for the NLA or RLA schemes, we have got information about the London Landlord Accreditation Scheme that is supported by all the London Boroughs. In January 2016, they told us there were 598 accredited landlords in Newham, which was the 11th highest out of all London boroughs. By January 2018, that figure had increased to 894 which is the fifth highest when compared to all the London boroughs. To find out more about becoming accredited, you can visit the London Landlord Accreditation Scheme website here. 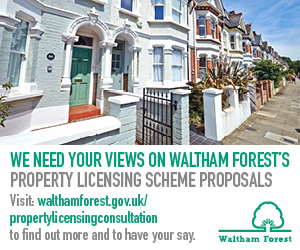 Newham Council recently extended their additional and selective licensing schemes for a further five years. Both schemes apply borough wide, except for the ‘E20’ area. For all the latest information, you can sign up to our free newsletter. On 31 July 2012, Newham Council made an Article 4 Direction that removes the permitted development rights to change a property from a single-family house (use class C3) to an HMO occupied by up to six people (use class C4) without planning permission. The Article 4 Direction applies borough-wide and came into force on 31 July 2013. So from that date, even letting your property to three people who are not all related could require planning permission. We have published some further guidance about HMO Article 4 Directions, avaialble here. To find out more information from Newham Council, you can visit the planning page on the Council’s website. Newham Council’s selective landlord licensing scheme extended until 2023! Additional, selective and mandatory HMO licensing schemes apply throughout most of the borough.